Equine America Magnitude is a calmer fed to encourage your horse to relax. 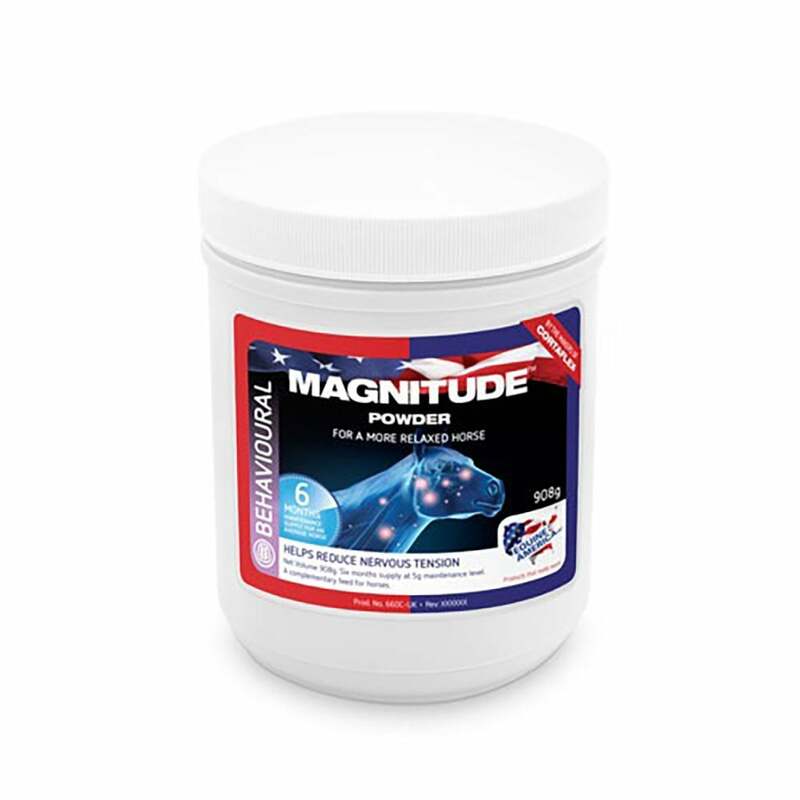 Magnesium is utilised in the body for healthy nerve endings; horses that are deficient in magnesium can show tension and nervousness and therefore Magnitude contains magnesium to promote healthy nerve tissue and reduce nervous tension. Horses that need supplementary magnesium will find Equine America Magnitude relaxes and calms them allowing them to concentrate better.